Owned by the Lancashire and Yorkshire Railway Company and chartered by the Admiralty in 1915 and converted for cable work for the GPO. One paying out-picking up machine was fitted on the forward well deck. The three holds, two forward and one aft were modified to carry cable. Hodder replaced Monarch (2) at Scapa Flow in 1915 and during the next three years laid cables to the various islands in the Orkneys and Shetlands, linking these to the Naval Base at Scapa Flow. 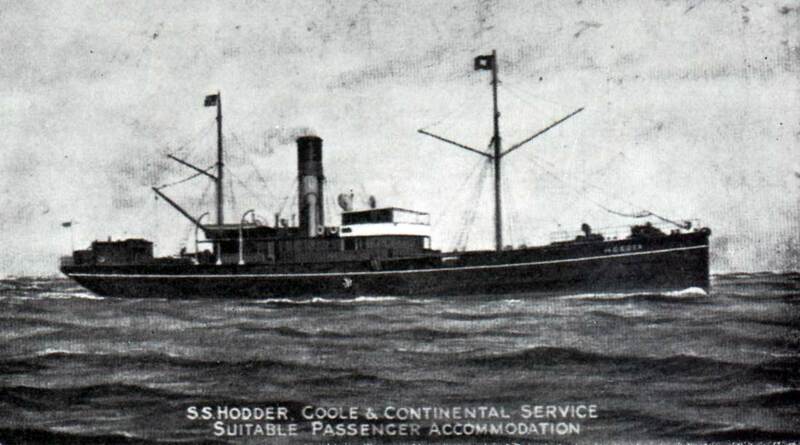 During its time as a cable ship it was manned by its own crew with the GPO supplying the cable staff. 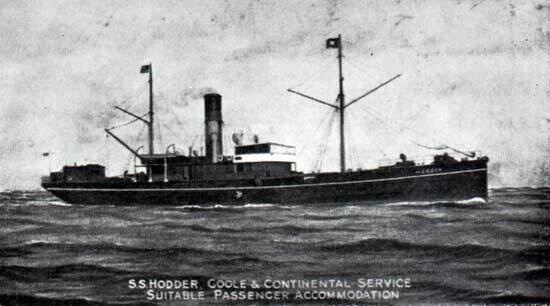 At the end of the war Hodder was returned to its owners. The ship was scrapped in 1956 by Clayton & Davie, Dunston-upon-Tyne.